I’m very disappointed. Bought to get some new ideas for everyday baking and found it far too complicated for baking with my children. 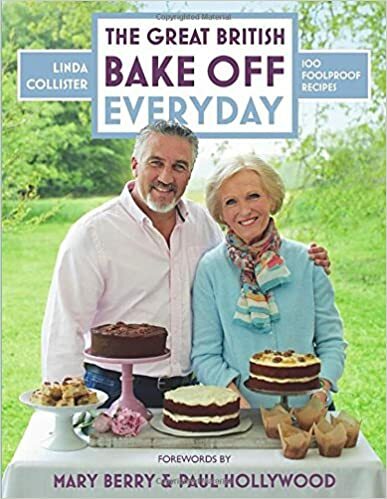 Lots of hints and tips from “paul and mary” make it worthwhile in parts but not “everyday” bakes in my mind. Avoid unless a die-hard GBBO fan. I absolutely loved this book, a real gem. Deftly transporting you to Ceylon, this is the tale of Gwen and Laurence, ably supported by a cast including Naveena, Verity, Fran and Savi. Beautiful narrations of the landscape and the emotions of Gwen, this story sweeps you under its spell. I really felt for Gwen and her anguish and didn’t predict the ending at all! One of my 2015 favourites. MetLineReader Rating: 4.5* (Jubilee) Highly recommended! A Sister’s Promise is predominantly set in a claustrophobic village in rural India (not a criticism, those are the author’s words). Sharda and her little sister Puja have been estranged for many years. Puja is living in London and struggling with her teenage son, Raj; whilst Sharda worries about her daughter Kushi’s desire to change the world from her small village. Kushi has been pushing for more rights for people in the villages when she is hit by a car and ends up in hospital. How Sharda and Puja became estranged unfolds through a series of letters written by Sharda to her mother. Given the claustrophobic nature of the villages portrayed in this book, the outcomes are not surprising but gently and considerately told. Renita D’Silva writes beautifully and the story unfolds like a flower. I find her storytelling very moving and was in tears on a couple of occasions whilst reading this book. Highly recommended, particularly for lovers of India and family sagas. Not one for the thriller readers! My thanks to Renita D’Silva, @Bookoutre and @Netgalley for the opportunity to read an Advance Readers’ Copy in exchange for a fair and honest review.